Show how to create effective EQs, working from sources including standards, desired understandings, and student misconceptions. 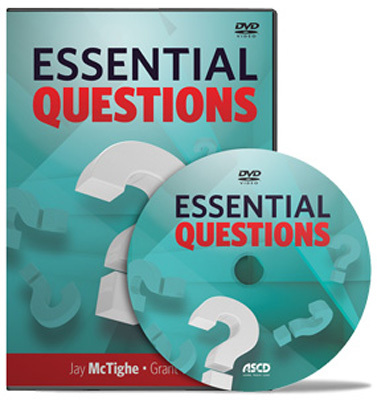 Using essential questions can be challenging—for both teachers and students—and this book provides guidance through practical and proven processes, as well as suggested “response strategies” to encourage student engagement. Finally, you will learn how to create a culture of inquiry so that all members of the educational community—students, teachers, and administrators—benefit from the increased rigor and deepened understanding that emerge when essential questions become a guiding force for learners of all ages. "You need it for your instruction and teachers will love it as well." Reprinted with permission from School Librarian’s Workshop (Aug/Sept 2013). JAY MCTIGHE brings a wealth of experience developed during a rich and varied career in education. He served as director of the Maryland Assessment Consortium, a state collaboration of school districts working together to develop and share formative performance assessments. Prior to this position, Jay was involved with school improvement projects at the Maryland State Department of Education where he directed the development of the Instructional Framework, a multimedia database on teaching. Jay is well known for his work with thinking skills, having coordinated statewide efforts to develop instructional strategies, curriculum models, and assessment procedures for improving the quality of student thinking. In addition to his work at the state level, Jay has experience at the district level in Prince George’s County, Maryland, as a classroom teacher, resource specialist, and program coordinator. He also directed a state residential enrichment program for gifted and talented students.